Honey bee colonies foraging on land with a strong cover of clover species and alfalfa do more than three times as well than if they are put next to crop fields of sunflowers or canola, according to a study just published in Scientific Reportsby an Agricultural Research Service (ARS) scientist and his colleagues. Managed honey bee colonies placed from May until October next to land in the U.S. Department of Agriculture Conservation Reserve Program (CRP) in North Dakota were more robust with better colony health including higher numbers of bees and increased ability to turn nectar and pollen into vitellogenin—a compound that plays a number of roles including serving as the base for producing royal jelly, which bees use to nurture larvae and turn larvae into queens. After spending six months foraging on CRP land and then overwintering, more than 78 percent of the colonies were graded A, the highest level commanding the highest price for pollination services in January, meaning a colony has six or more frames well filled with bees, capped cells and bee brood (larvae). 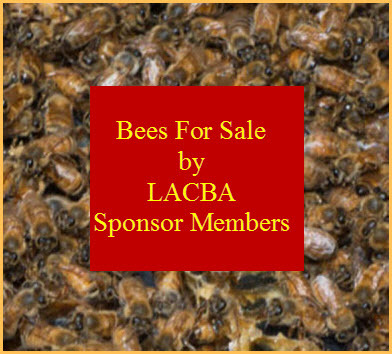 With colonies kept near intensely cultivated fields and then overwintered under the same circumstances to the CRP apiaries, only 20 percent could be rated Grade A and 55 percent were less than 2 frames or dead. “With California almond growers having paid an average of $190 per Grade A colony in the 2018 almond pollination season, the need for beekeepers to have access to land that has diverse and substantial nectar and pollen sources is obvious,” explained ARS research microbiologist Kirk E. Anderson. Anderson is with ARS’ Carl Hayden Bee Research Center in Tucson, Arizona. Anderson and his team, including ARS molecular biologist Vincent Ricigliano, also profiled several molecular colony level biomarkers, looking for a way to simplify how researchers can measure how well a honey bee colony is doing in different foraging conditions while overcoming individual bee variation. They found that higher levels of vitellogenin stores were the best predictor of colony size after winter. Higher levels also were associated with increased production of antioxidant enzymes—which reduce cell damage—and greater production of antimicrobial peptides, which contribute to disease resistance. The researchers eliminated other potential common causes of colony decline except for forage resource, highlighting the importance of pollen and nectar quality provided by the area surrounding the apiary. While the link between the quality of forage and colony health is generally known, this study highlights the value of agriculturally marginal (CRP) landscapes for honey bee production in a region that hosts close to half the U.S. managed bee population (about 1 million colonies) during the summer. “We’ve also shown that the benefits of high-quality forage such as that provided by CRP land carries right through the overwintering period and leaves bees in the best shape to build up their numbers before being needed to pollinate almonds in February and early March,” said Ricigliano. Our results provide land managers and scientists with methods to evaluate the relationship between bees and the landscape. 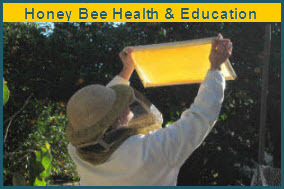 For beekeepers, it provides a basis for making decisions about where to put their apiaries for the summer and fall after crop pollination ends so that the colonies will be in a position to build up robust healthy numbers in time for the migration to California for almond pollination, Anderson added.